If you wish to park in the ADA parking section you will need to purchase an On-Site Vehicle Pass, and if your vehicle is longer than 18ft or if you require an electrical hookup you will need to purchase an On-Site RV Pass. 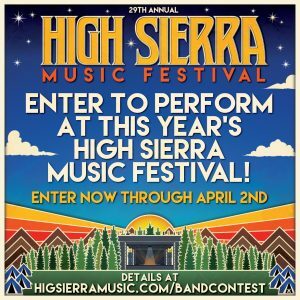 Please complete the 2019 High Sierra Music Festival Mobility Disability Accommodation Request Form to request space in the ADA camping and parking areas. 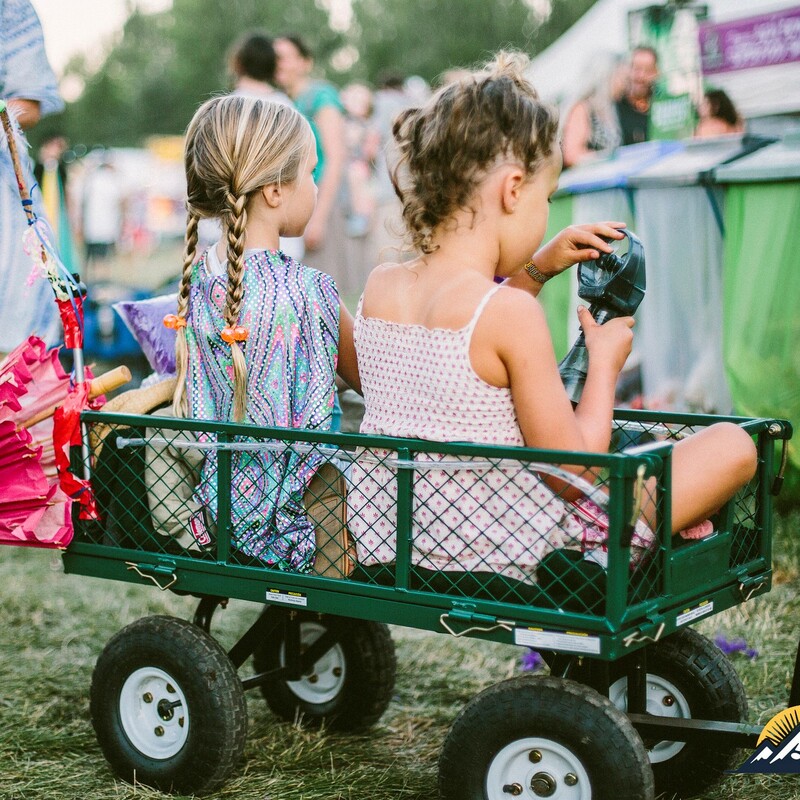 Upon arrival to the festival present your handicapped placard, and inform the parking attendants of your accessibility request, and they will direct you toward ADA camping and parking, located in close proximity to the medical tents, bathhouses, food court, and music. 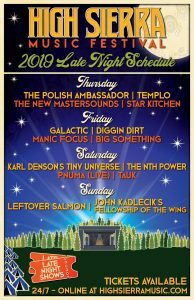 Please email accessibility@highsierramusic.com with any questions and include “Accessibility Accommodations” in the subject line. During the festival, please direct your questions regarding accessibility accommodation to the box office. For all other non-mobility accommodations questions, please email accessibility@highsierramusic.com with your accommodation request. Recently, High Sierra has been inundated with non-service animal pets, who have accompanied their owners in violation of California and federal law. Moreover, these animals have compromised the health and safety of festival patrons and legitimate service animals. We have therefore developed a new service animal policy and procedure. The policy and procedure will be strictly enforced and implemented in the interest of ensuring that bona fide service animals are permitted and all other animals are prohibited from High Sierra. By law, if an animal’s purpose or task is to provide protection, emotional support, well-being, comfort, or companionship, it is NOT considered a service animal and may NOT come to High Sierra. Qualified and bona fide service animals are welcome at High Sierra. Pets and non-service animals are NOT permitted. It is a crime to misrepresent a pet as a service animal. Those who bring their non-service animals to the festival will be ejected from the festival site without refund. All service animals must be trained for a specific function, related to a disability, housebroken, leashed and under the direct control of their handler at all times. If any handler does not adhere to these conditions, the handler will be asked to remove the animal from the site. The handler then may return without the animal. High Sierra reserves the right to refuse admittance to or eject any individual whose conduct poses a direct threat to the health or safety of other individuals or service animals. 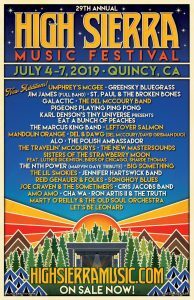 Any High Sierra patron arriving at the festival with a service animal will need to have their service animal credentialed at the box office. This process should not be feared, as it will be conducted with respect and understanding. After the service animal has been credentialed by festival staff, important information will be provided to the disabled individual. Once your service animal has been credentialed, staff are not likely to question you again unless the animal causes a problem. Any patron bringing a non-service animal will be not permitted onto any of the festival grounds, including camping areas. The festival is held on the Plumas-Sierra County Fairgrounds, which is an ADA compliant facility. Paved roads and pathways go throughout the property with hardened dirt paths in the campgrounds. The land is relatively flat except for the Hillside Campground. The length of the venue is just over half a mile long. Patrons with a valid, state-issued accessible parking placard or tag must purchase the appropriate parking pass in order to park on site. Upon arrival, show the parking attendant your Vehicle Pass and valid accessible placard and you will be directed to our Accessible Camping, centrally located within the fairgrounds and in close proximity to accessible bathhouses. If you will be arriving in an RV (any vehicle 18’ or longer), you must purchase an RV Pass. We have a limited number reserved for guests with disabilities. Please contact us right away if you’re interested in attending with an RV – accessibility@highsierramusic.com. 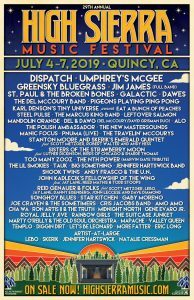 If you need access to an electrical outlet, please notify us in advance of the festival and let the parking attendant know upon your arrival – accessibility@highsierramusic.com. All patrons must follow the Arrival Guidelines, which will be available this spring. Several “brick & mortar” restrooms are throughout the fairgrounds with accessible facilities and showers. High Sierra supplements with accessible port-o-johns. A viewing platform is available for guests with disabilities accompanied by one companion in the High Sierra Music Hall where Late Night Shows and Artist Playshops are held. 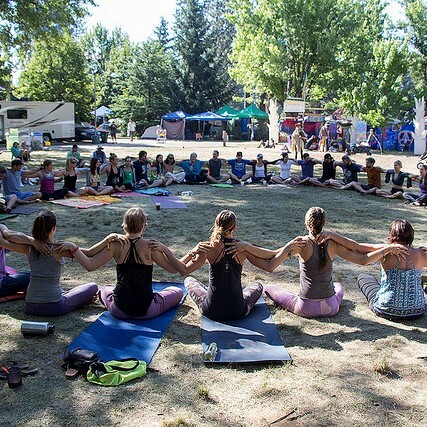 Medical professionals are on-site and available 24 hours a day with locations in the Grandstand Meadow and near the Funk’n Jamhouse – see festival map. 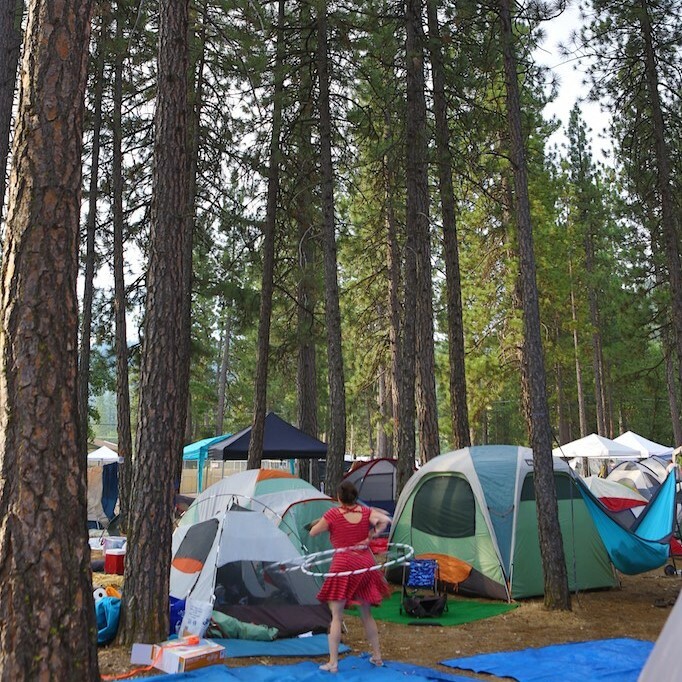 The Plumas District Hospital is located just 3 miles from the festival. A Safeway Pharmacy is just 1.5 miles away. We have had reports of some patrons borrowing or otherwise falsely using accessible parking placards or tags. This uses valuable space that we are reserving for patrons who actually have disabilities. It is against the law for anyone to use an accessible parking placard that was issued to another person. It is against the law to duplicate an accessible parking placard. It is against the law to park in an accessible parking space without a legitimate accessible parking placards. As vehicle arrive, we will check identification to confirm legitimate use of these placards and will contact authorities in situations with improper use.